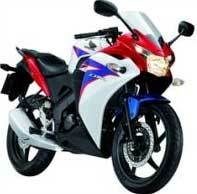 The release date of the sport Honda CBR150R revealed after PT Astra Honda Motor (AHM) confirmed that the new bike is going to release on 30 June 2011. AHM also plans to test ride the bike at Sentul Circuit on the same date. The bike that using PGM-FI (Programmable Fuel Injection-FI) technology in 150 cc type will be CBR150R is packed with engine 4-strokes DOHC liquid-cooled 149.4 cc with compression ratio 11:01.